During the colonial era, Cameron Highlands mountain resort was a haven for the British who were station in Malaya. It provided relief from the hot and humid tropical climate. With its temperate climate, a number of them decided to make it their retirement home, setting up bungalows and mansions. Days are spent pruning roses, tending to strawberries, sipping English tea, and of course for a little more social mingling, they would head over to Mr. Foster’s Tudor styled Smokehouse. By 1971, the British Army former military hospital has now become a Roman Catholic convent. It still stands on the hill overlooking the main street. If you think the present 60km of twisting road leading from Tapah is difficult to negotiate, imagine how the pioneers of yester-years carve up the road by using only oxcarts in the 1930s! Cameron Highlands was first stumbled upon by one William Cameron, a government surveyor while on a mapping expedition in 1885. He was so enamored by the wide area of gentle slopes and plateau land that he gave an endearing report. It created quite a stir of excitement that Sir Hugh Low wanted to develop the area as sanatorium, health resort and open farmland. Cameron’s name was thus bestowed upon the highland area. But it would take another twenty years before the first pioneers settle in the area. 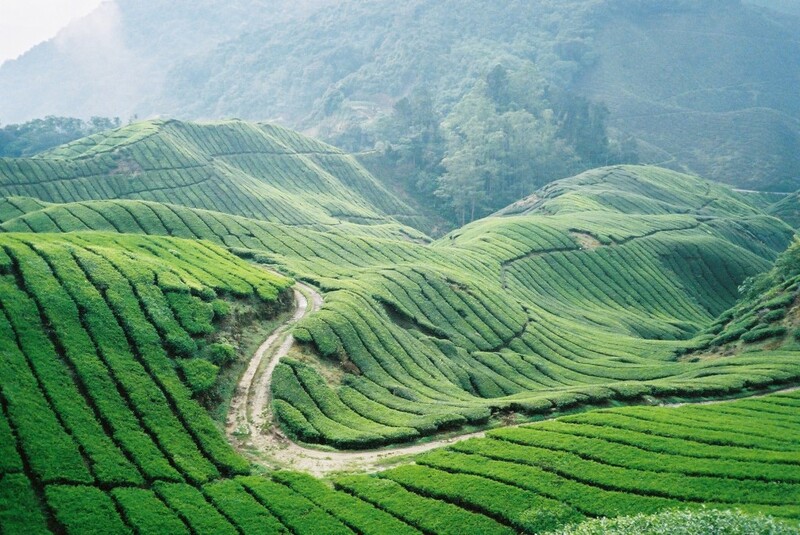 With the cool climate, it became the perfect place to grow tea and vegetables. Until today, it has provided the locals plenty of the famed Cameronian tea and daily vegetable produced. Cameron Highlands is about 60 kilometres form Tapah, a town on the Kuala Lumpur – Ipoh Highway accessible by road and rail. From Tapah, the two way road winds its way up through fascinating jungle scenery. The ascent is gradual with only the drop in temperature to indicate how high you are. The flora of the tropics undergo a subtle and pleasant change with tumbling waterfalls, gurgling mountain streams, giant tropical trees rising majestically towards the sky, bamboo forest and hillside villages belonging to the Semai, members of the Semoi group of “Orang Asli”. The drive up will take about one and the half hours to Tanah Rata. Coach travel is one of the most convenient and economical way to come to Cameron Highlands. A number of companies provide regular, efficient express and tourist coach service to and from Kuala Lumpur, Penang and Singapore with a choice of day or night departures on some routes. All coaches are air-conditioned and most have adjustable seats and audio and video systems for on-board entertainment. Stops are made during the journey for passengers to have their meals or light refreshments. (for those arriving by train) at reasonable rates. Fresh flowers are cultivated in the highlands and is a leading export product. Most of the flowers are grown in Brinchang. 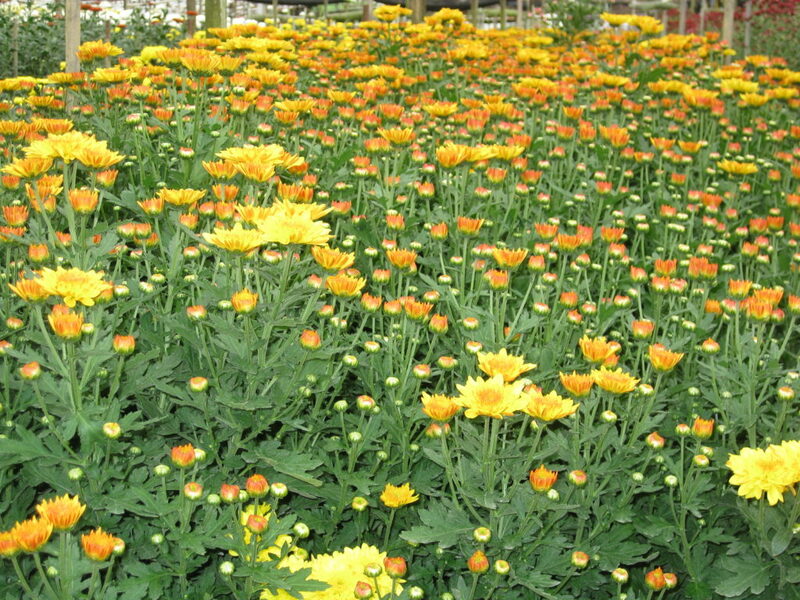 Flower nurseries can be found located on the hilly inclines bordering the main road in Brinchang. Blooms like roses, chrysanthemum, carnations, dalia, geranium, fuschia, gladioli and ‘everlasting flowers’ are grown at the nurseries. No visit to the highlands is complete without purchasing some of these fresh colourful cuts to take back home. Adjacent to the Cameron Highlands Golf Course is The Smokehouse Hotel, an enchanting Tudor-style building built in 1937. The pretty boutique hotel with latticed windows, wooden beams and furnished with interesting antique artifacts has 13 lovely suites. English cuisine, including cream teas are served. Its English country garden is especially a treat to its guests. Afternoon tea and scones and an original red British phone box standing opposite the hotel completes the picture. This is an amazingly scenic tea estate open for visitors to view the tea processing factory, tea and souvenir shop and audio visual center. Enjoy a cup of tea with your friends and loved ones overlooking beautiful views of the tea plantation on an elevated platform. Located along the Gunung Brinchang road. Turn left after the Butterfly Farm near the Equatorial Hill Resort. There are many vegetable farms located throughout Cameron Highlands. The most interesting ones to view can be found along the Boh Tea Estate road at Habu and in the area surrounding the Equatorial Hotel after Brinchang. Brinchang boasts the only golf course in the highlands. The 18-hole, par-71 Cameron Highlands Golf Course is quite challenging with tricky greens, undulating fairways, thick rough, meandering streams and fine sand bunkers. As rains are quite common in the afternoon, it is advisable to play early in the morning. The Golf Course is open to public. Green Fees are RM40 on weekdays and RM60 on weekends or public holidays. Caddy Fee is RM18. There are a number of strawberry farms in Cameron Highlands, the best known are probably Kasimanis Strawberry Farm. Always worth a visit for their novelty value and the chance to taste strawberries and cream! Great views of the estate from the tea and souvenir shop located around 5km up from Ringlet on the main Tanah Rata road. There are many interesting jungle walks in Cameron Highlands. Some are just a short gentle stroll and others a half-day stiff track for the very fit. All are enjoyable and worth venturing on. If you need help to choose the walks best suited to your needs, most hotels and guest houses are very knowledgeable and helpful on the subject. Kea Farm, Brinchang Bee Farm, Honey, Cool Weather. With temperatures ranging from 25 celcius to 10 celcius, Cameron Highlands is pleasantly warm. However, a sweater or tracksuit top is essential for the evenings when it can become a little chilly. Late afternoon rains often set in, so get out and about early in the morning and bring along an umbrella. If you are planning a jungle walk, be sure to wear good trainers or walking shoes and take along a bottle of mineral water as some of the walks are quite long and tiring. It is fine to visit the highlands at any time of year, but try to avoid the main public and school holidays when it can become very busy. If you must visit during these periods try to book your accommodation well in advance. For those wishing to view the places of interest, most hotels and guest houses organize half-day and full day tours. It is easy to drive everywhere and walking is a real pleasure.